Louis Rene Beres: To the extent that they may even be estimated, the calculable risks of a U.S. nuclear war with North Korea will depend upon whether such conflict would be intentional, unintentional or accidental. Apart from applying this tripartite distinction, there can be no reason to expect any systematic and purposeful U.S. strategic assessment. Moreover, even when such an indispensable subdivision is properly applied, capable analysts can still never offer any scientifically-based assessment of probabilities. In current nuclear security matters concerning North Korea, science matters. Accordingly, true probabilities in mathematics must always be based upon the determinable frequency of pertinent past events. Plainly, of course, there has never been a nuclear war. In this regard, it must be acknowledged that the American atomic attacks on Hiroshima and Nagasaki in August 1945 did not constitute a nuclear war. For predictive purposes, therefore, they "don't count." Nonetheless, it is still essential that competent U.S. strategic analysts now do their available best to examine and measure all current and future risks. For the most part, in examining the escalating and overheated rhetoric coming from both U.S. President Trump and North Korean President Kim Jong Un, it appears that neither leader is paying appropriately close attention to the potential risks of an unintentional or accidental nuclear war. In this connection, both Trump and Kim now seem to assume (however quietly or unwittingly) the other's complete rationality. After all, if no such mutual assumption existed, it would make no sense for either president to deliberately strike existential fear in the heart of the other. There is more. 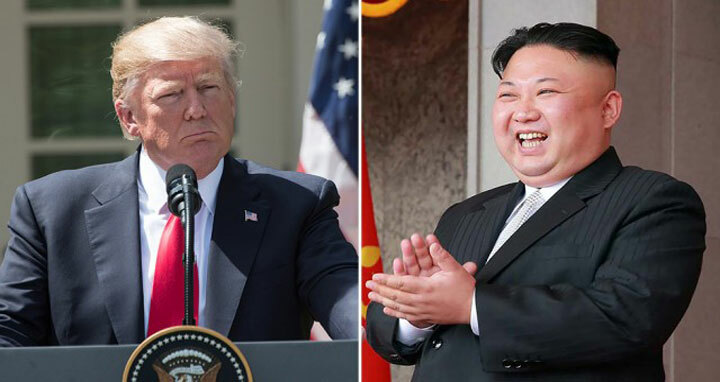 Without a genuinely mutual assumption of rationality, both Trump and Kim would plausibly become more sensitive to the considerable and increasingly palpable dangers of ramped-up rhetoric. But is such a core assumption actually valid, for either one or both adversarial national leaders? Should President Trump and his principal advisers begin to fear enemy irrationality, persistently graduated threats of U.S. retaliation might then make no convincing deterrent sense. Then, instead, American national security could ultimately have to depend upon some presumptively optimal combination of ballistic missile defense and defensive first strikes, or preemption. Naturally, it is literally in everyone's best interest that such a perilous dependence be scrupulously avoided. For the moment, at least, it does seem reasonable that Kim Jong Un values his own life and that of his nation more highly than any other preference or combination of preferences; and he remains operationally subject to U.S. nuclear deterrence. Here, however, it will also be important for the American president to carefully distinguish between genuine enemy irrationality and pretended enemy irrationality. In the past, to wit, President Trump has openly praised feigned irrationality as a U.S. security strategy. Indeed, his recent "fire and fury" warning might merely have reflected a preferred "rationality of pretended irrationality" posture for the United States. Such preference is not without assorted inherent dangers. Most worrisome, perhaps, is that, although neither side may actually want war in any tangible form, either or both "players" could still commit catastrophic errors during increasingly competitive and presumptively zero-sum searches for "escalation dominance." These crucial errors are more apt to occur in those unsteady circumstances where one or both presidents continues to rely on hyperbolic and sequential verbal escalations. An unintentional or inadvertent nuclear war between Washington and Pyongyang could take place not only as a result of various misunderstandings or miscalculations between fully rational presidents, but also in unintended consequence of certain mechanical, electrical, or computer malfunctions. This now brings to mind a corollary distinction between unintentional/inadvertent nuclear war and accidental nuclear war. Though all accidental nuclear war must be unintentional, not every unintentional nuclear war would necessarily be by accident. Rather, an unintentional or inadvertent nuclear war could be the result of fundamental misjudgments about enemy intentions, and/or certain unforeseen "synergies" between North Korean and American crisis decisions. Also worth noting is that such synergies or mutually-reinforcing interactions could quickly "cascade," one into another, thereby producing an utterly out-of-control panoply of abundant complexity and stark contradiction. For example, in the present face-off between Washington and Pyongyang, President Trump might sometime over-estimate his own cumulative power and derivatively under-estimate that of his opponent. This over-estimation/under-estimation could take place unilaterally, or simultaneously, with more-or-less corresponding misjudgments occasioned by President Kim. The results, of course, could turn out to be far more complicated and multi-layered than either one or both adversarial national leaders had originally expected. In his classic, "On War," famous Prussian strategist Carl von Clausewitz wrote, "In war, everything is simple, but the simplest thing is difficult." In any successful "endgame" to the current issue, it will be vital for President Trump to understand that this crisis is about much more than simply maximizing any relative "correlation of forces" or missile-interception capabilities. What we require is something far more comprehensive than any narrowly tactical or operational assessment of prospective risks and benefits. Insofar as a nuclear war has never been fought, what is needed now is much more broadly intellectual guidance than we can ever reasonably expect from even our most senior military officers. This is not on account of any intrinsic or remediable deficiencies on their part, but only because a nuclear war would be sui generis or without precedent. Significantly, there are no identifiable experts on fighting a nuclear war, not in Washington, not in Pyongyang, not anywhere on this always-bleeding planet. One last point about the still-calculable risks of a North Korea-U.S. nuclear war. From the particular standpoint of the United States, the only genuinely successful endgame could be a crisis that concludes with a discernible diminution of North Korean nuclear war fighting capabilities and intentions. Therefore, it would represent a very grave mistake for us to settle for any presidential boast of "victory" that is based only on a one-time or singular avoidance of war. We ought not to be taking such unequivocally existential risks with Pyongyang if the best recognizable outcome would only be status quo ante bellum. Providing U.S. national security is not a spasmodically visceral or seat-of-the-pants "game." Without a suitably long-term and systematic plan in place for North Korea, a nuclear conflict that is deliberate, unintentional or accidental could sometime still arise. Louis Rene Beres is professor emeritus of political science at Purdue University. Beres' lectures and research focus on international relations, terrorism and international law. He is the author of several books, including, "Surviving Amid Chaos: Israel's Nuclear Strategy," which was published in 2016 by Rowman & Littlefield.